Every new month comes with new gaming expectations alongside a new slate of games for PS4, Xbox One, PC, Nintendo Switch and even 3DS. Let us know your most anticipated game release of the month. Every new month comes with new gaming expectations alongside a new slate of games for PS4, Xbox One, PC, Nintendo Switch and even 3DS. PC and Console gamers will bear witness to that! No doubt, but September has been a joy-filled month for all technology and game lovers all over the globe, from the advent of the most complicating smartphones to very adventurous video games to go with them all. With virtually several of this year games reserved for October and November, there are still amazing and exciting new games across each platform to wait on and savour upon its release. While marquee title games like Dragon Quest XI and Spider-Man has already been made available to the public, this month has also seen the official Xbox One release of PlayerUnknown's Battlegrounds (PUBG). Sports and Football fans have also been treated with a demo view of the latest instalments in NBA Live and the FIFA 19 release to look forward to. September has also witnessed a couple of major DLC releases which includes Destiny 2's Taken King-sized expansion, Forsaken, which introduces Gambit mode, new enemies, story missions, and a wealth of other content to the shooter. Switch's massive JRPG Xenoblade Chronicles 2 also receives its own sizable story expansion, Torna: The Golden Country, this month, which chronicles the downfall of the eponymous country 500 years before the events of the main game. Who says September was game-ridden already! 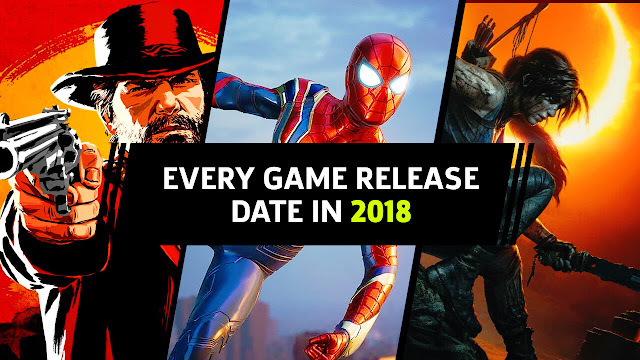 With the month fast fading out, we, therefore, made a list of the biggest releases for each platform this month below and hopeful expectations of the ones yet to come through. **These are games yet to be released prior to article writing! Avid football gamers will agree that the FIFA 19 release might be the peak of this months' game releases as it comes last. Do you? We made a fair-cry to EA Sports on improved gameplay that could make the FIFA 19 game even better and guess what? We received a twitter like - who knows! So, let us know through the comment section of your most anticipated Xbox One, PS4 and PC game release of the month and what made your game of the month, we might have to change our FIFA 19 stance after all then.